The contemporary state is not only the main force behind environmental change, but the reactions to environmental problems have played a crucial role in the modernisation of the state apparatus, especially because of its mediatory role. 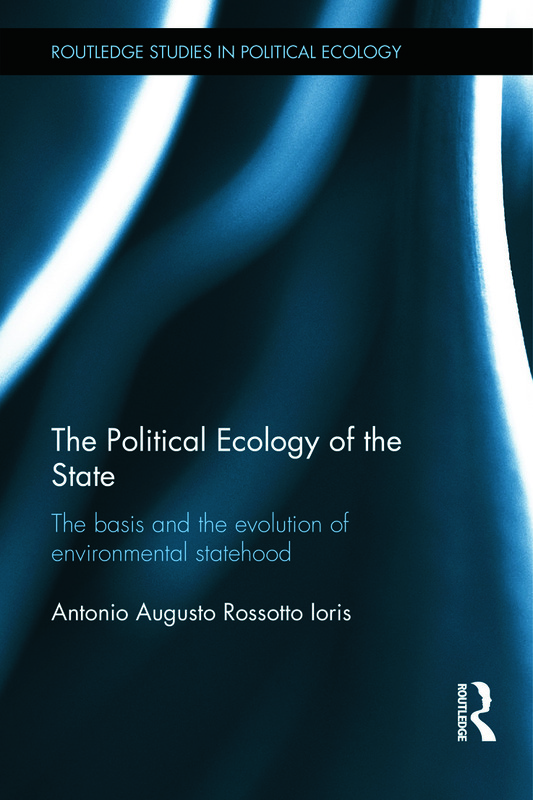 The Political Ecology of the State is the first book to critically assess the philosophical basis of environmental statehood and regulation, addressing the emergence and evolution of environmental regulation from the early twentieth century to the more recent phase of ecological modernisation and the neoliberalisation of nature. The state is understood as the result of permanent socionatural interactions and multiple forms of contestation, from a critical politico-ecological approach. This book examines the tension between pro- and anti-commons tendencies that have permeated the organisation and failures of the environmental responses put forward by the state. It provides a reinterpretation of the achievements and failures of mainstream environmental policies and regulation, and offers a review of the main philosophical influences behind different periods of environmental statehood and regulation. It sets out an agenda for going beyond conventional state regulation and grassroots dealings with the state, and as such redefines the environmental apparatus of the state. Chapter 1. Introduction and Overview of the Book Chapter 2. The Reason and the Purpose of Environmental Statehood Chapter 3. Early and Conventional Environmental Statehood: Unpacking the Hobbesian Influence Chapter 4. Responding to Regulation Rigidity and Persisting Socioecological Problems: The Kantian Basis of the Transition Chapter 5. The Contingent Relation between Flexible Environmental Statehood and the Neoliberalisation of Socionature Chapter 6. Flexible Environmental Statehood as the Realisation (Actualisation) of the Hegelian State Chapter 7. What is Beyond Flexible Environmental Statehood and the Naïve Faith in the Eco-state? Antonio Augusto Rossotto Ioris is Lecturer in Environment and Society, School of Geosciences, University of Edinburgh. His main areas of research are related to the search for environmental justice in the urban and regional contexts, and the multiple obstacles faced by marginalised communities to influence environmental decision-making. He has extensive experience with policy-making and project management in the UK, Portugal, Brazil and Latin America.